Well, I’ve finally done it. This past Sunday I played against an expert in the Pittsburgh Chess League and pulled out a nail biter to get the win. The win puts me at 2/2 (both games with black) in the league, but more importantly will help me get the 8 points I need to cross 2100 for the first time in my career. Even though the game was far from perfect, I thought it would still be worth sharing, as the endgame is far from simple. Here we go. A passive move on my part. I believe a better suggestion here is 7… f6, putting pressure on the center. I saw this during the game, but I hesitated because of 8. Qa4. This is more or less a theoretical novelty for White, and I think 8… Qd7 should do enough, as White still has to solve his central problems. A great move by my opponent! I was planning h6 and g5, gaining space on the kingside (I had already decided I wasn’t castling), but this idea might not be as strong now because of White’s potential to sacrifice on g5. After what felt like a passive opening choice, I think I have found equality here. I’m not exactly sure if White went wrong, but now my threat of Nf5 is also extremely strong. I remember during the game finding the award move 12. g4?! with the idea of cramping Black. If I try to counter with …h7-h5, White can open up the g-file and control g5. 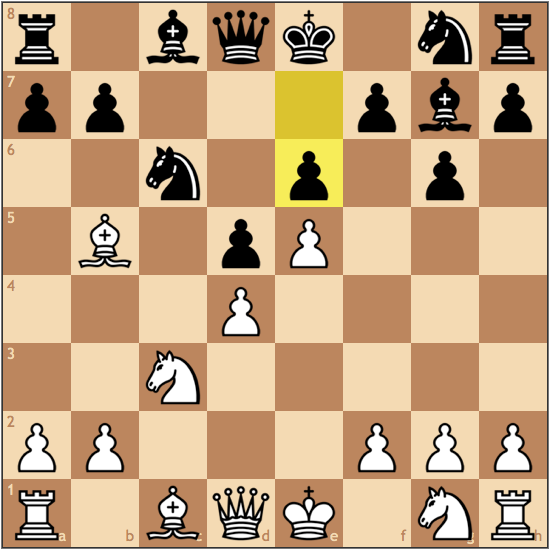 This is a cool concept positionally, but I have the saving grace 12… Nxe5 winning a pawn. I honestly was not too disappointed with my position. Despite being cramped, I have the pair of bishops, and my king is safe on e7. Here I had to consider the possibility of 13… Nxe5! winning a pawn. Objectively, this is the best move, but White isn’t without play. I played the text move because I didn’t like that I give white the opportunity to put his rook on a half-open file that has my king on it. Post mortem, I think the best line for White goes something like 14. Nxe5 Bxb5 15. Bxb5 Qxb5 16. Re1 Rac8 -+ and I am completely fine. 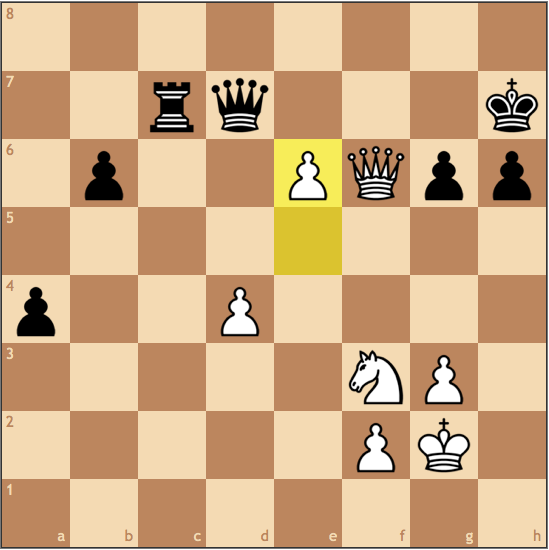 I had also seen lines with Nxd5+ possibilities, but this just ends down a piece – in other words, I had a win here. 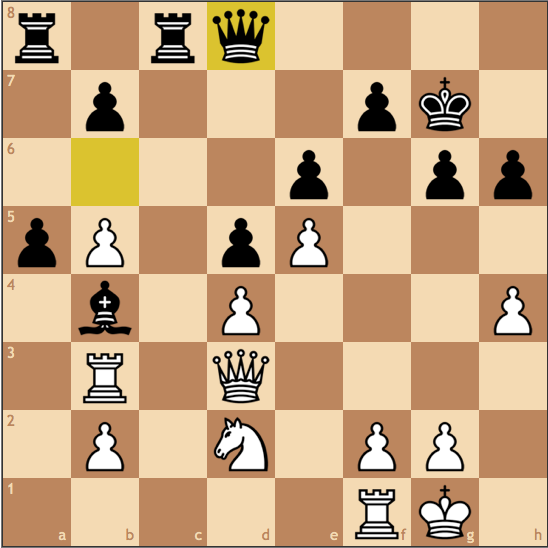 While not as good as taking on e5, I have to say my move is pretty strong as well. I take control of the open file with the correct rook, and now when I reroute my queen to d8, both of my rooks are where the action will be. By not winning the pawn this turn I’m not better, but I definitely can’t be worse. My opponent didn’t make many mistakes this game, but if I had to find three moves I didn’t like for White, this would be the first one. Even though my light squared bishop is poor, it stops the c3 knight from getting to c5 via a4. Furthermore, having the pair of bishops alone guarantees some sort of advantage – if not here, then later should the position open up. I have two plans: 1) push my a pawn to gain space and attack the queenside and 2) maneuver my king to g8 to allow my bishop access to the f8 square. Mission Accomplished! My opponent had the right idea of a4 to lock up the queenside, but the position was slow enough that I had time to complete my second plan, here with the added benefit of a tempo. 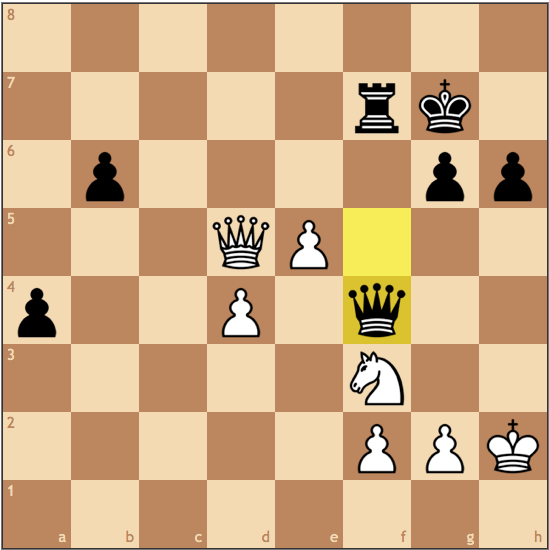 I don’t like White’s idea of getting the rook to a3, because in some lines the a4 pawn becomes a liability. This is mistake number 2 for my opponent. If you’ve ever read The Magic Tactics of Mikhail Tal, the author, Karsten Muller, emphasizes that mistakes come in “bunches”. While not losing immediately, White lets me trade off my worst piece while doubling his pawns and taking full control over the c-file. This is mistake number 3, and from this moment onward, Black has the initiative. Queens are terrible blockaders. 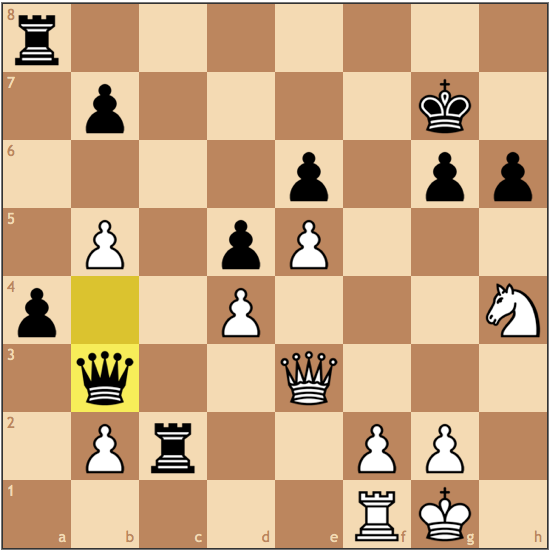 Having served its duty on b6, I made a tempo move on the h4 pawn while planning …Qe7, threatening a4, trapping the rook. I think this is the best way for me to use my positional advantage to get more active. Iossif Dorfman preaches that if a static advantage is played correctly, it will always become a material advantage. 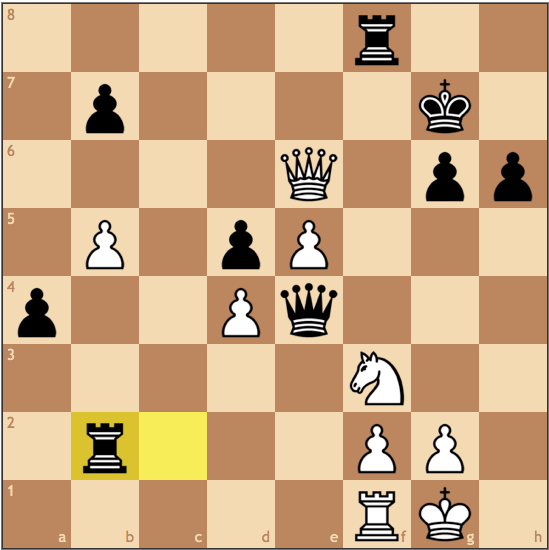 Here, White must sacrifice the rook on b4, as letting me take on b2 would give me a strong passer with no compensation. I like this decision for White, not because it gives him winning chances, but because the position quickly becomes extremely complicated. The difficult decision of the game. 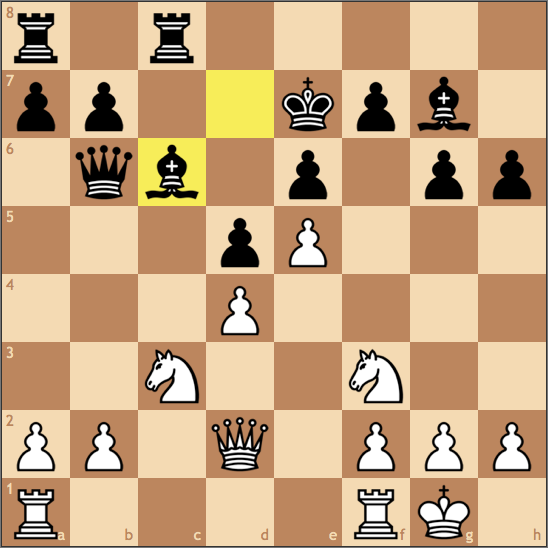 Here I think I could have done better with 28… Qxb5, and when White attacks g6 with 29. Qg3, meet it with 29… Qe8. 28… Qd2 is aggressive, but after 29. Qa3! 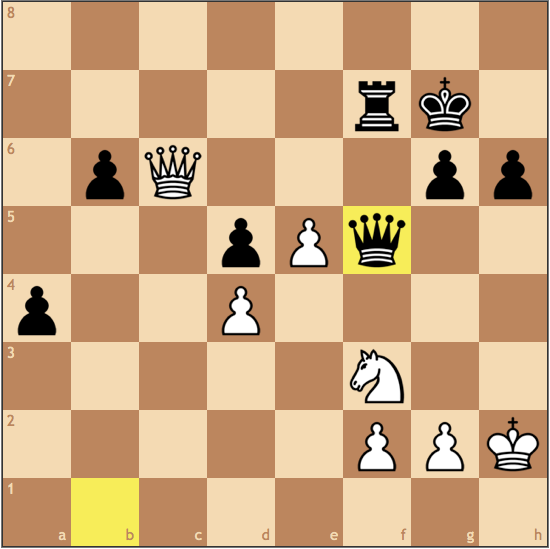 Black has to be very accurate when covering the seventh rank. 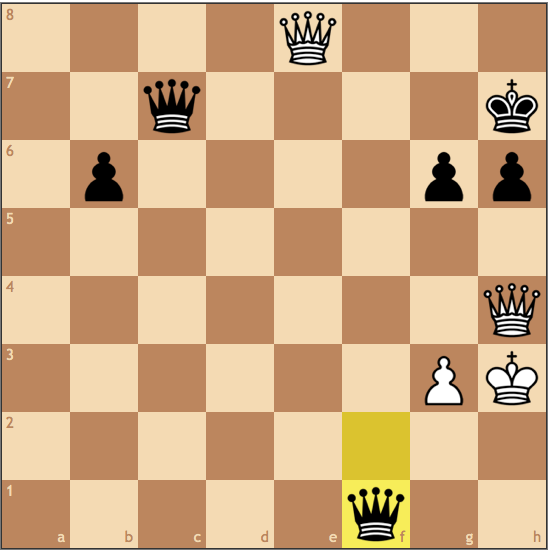 I chose this move because my queen was active, and ultimately had the goal of reaching e4. Winning a pawn, but more importantly coordinating my pieces! I can’t afford to let white gain access to the c-file, so this move gives me the resource …Rb2-b1, pinning the rook to the king. 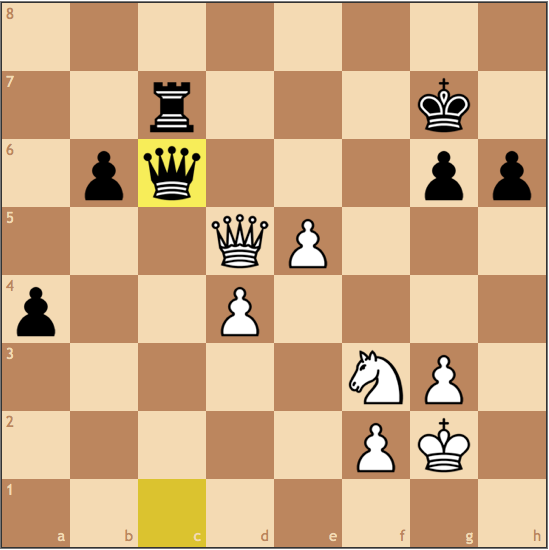 Winning a pawn! 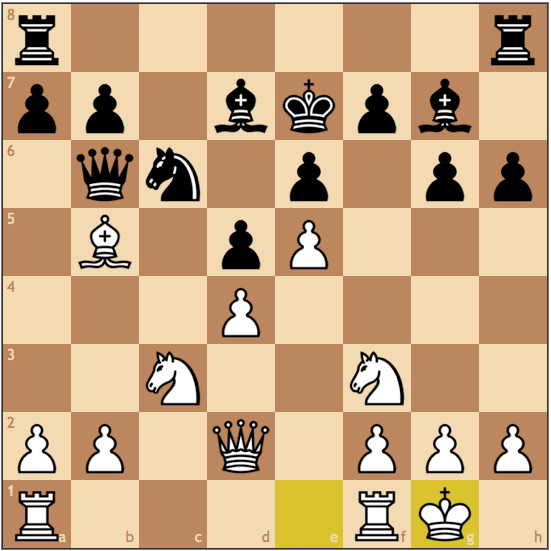 White can’t afford to take on b6 or play Qc5-c6 because the a-pawn starts rolling and I will queen the pawn. 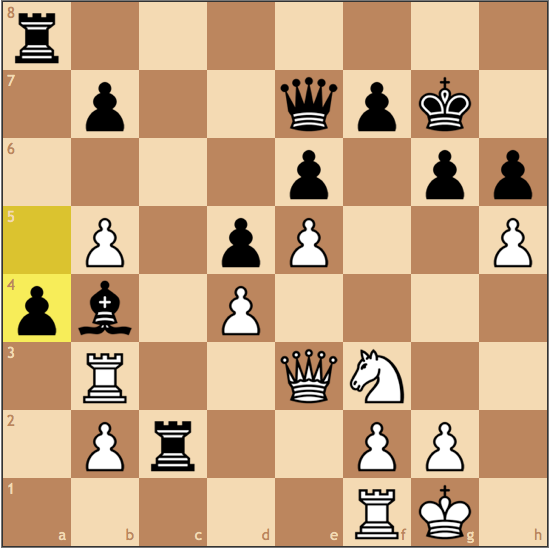 White must give up the b5 pawn to stay in the game. The hardest move to find throughout the game. If I were to have played 39… Qb3, I think I’m in trouble. 40. e6 Re7 41. Qd6 and the e5 outpost is really strong. By playing this move, I remove this threat at the cost of a pawn, but I really don’t think its so bad. For example, if 40. 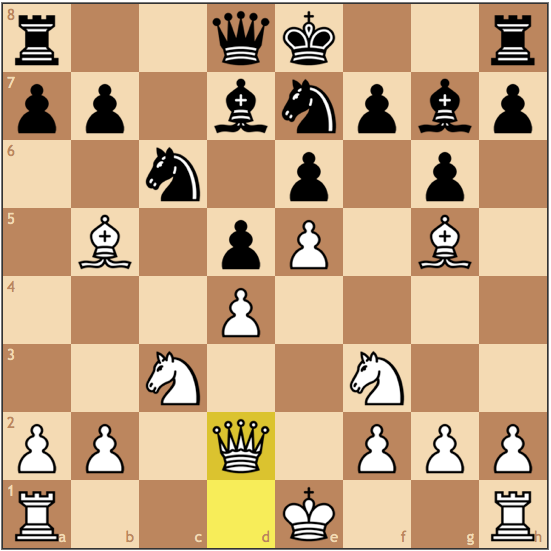 Qxa4, the queen is out of play, and the plan I had during the game would be much more effective (Qf4+, Rc7-c1+ – and White’s queen can’t generate counterplay with the passed pawn). My opponent told me after the game that he thought 40… Qh5+ was much more effective, but I beg to differ. 41. Kg1 Rc7 42. Kf1 (forced) Rc1+ 43. Ke2 and its already not clear how I make progress. 43… Rc2+ Black has to keep checking because the lack of coordination is not prepared to face the massive central advantage of White 44. Ke3 (not 44. Kd3?? Qf5+ and checkmate is around the corner) 44…Rc7 The king is exposed, but its not clear if white actually benefits from having an active king. 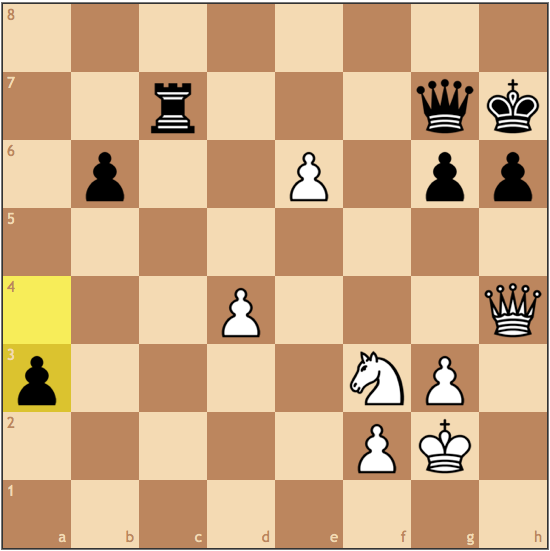 Meanwhile, Black now has uncoordinated pieces against White’s queen and center passers. Still a difficult position, but I am making progress. Any queen trade is decisive and in my favor, and moving the queen allows me to attack f3. 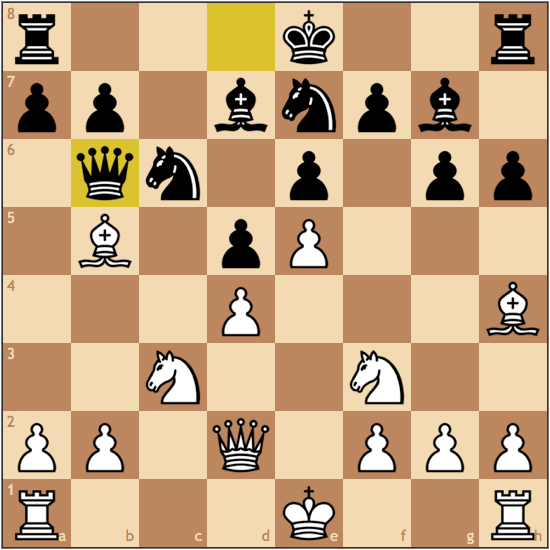 I think White makes the right choice here, taking on b6 loses a tempi to push pawns for white. After 48. 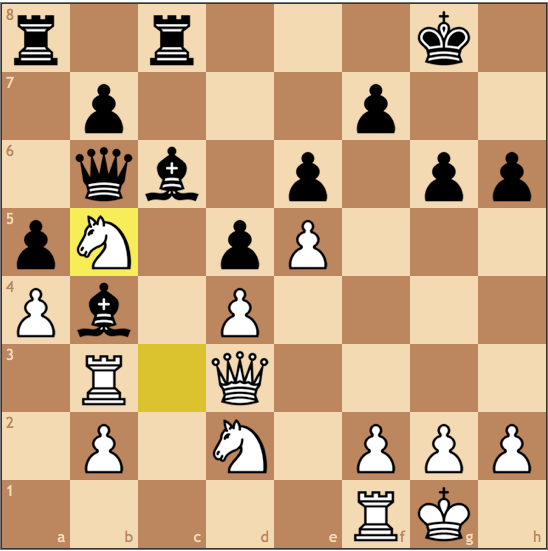 Qxb6 a3 should be enough for the point as …Ra7 will provide more than enough support for the pawn. And now the end is in sight. Every tempi White uses to stop my pawn is a tempi not used to push his own. White’s queen on h4 is blocked laterally by his own pawn on d4, and the knight really offers one meaningless check on g5. The result is 0-1. 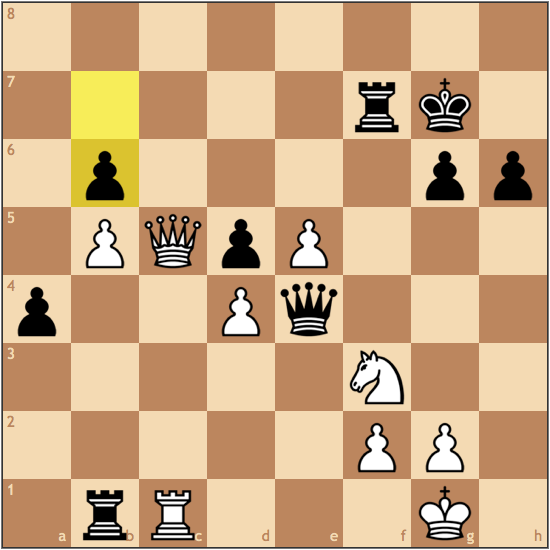 I’ve never beaten an opponent who has two queens on the board before, but White resigned as Kg4 loses to …Qf5#, and Kh2 falls prey to …Qc2+ and mate on the next move. A crazy game, and a lot for me to work on before the Pennsylvania State Chess Championships next week. Either way, breaking 2100 is really exciting for me – and hopefully, reaching master is around the corner. Did you enjoy this article? Make sure to check out my gofundme campaign to help me keep improving and push my way to the 2016 US Junior Open!